Posted March 25th, 2014 by David Porter & filed under General, Hot Topics, Social. 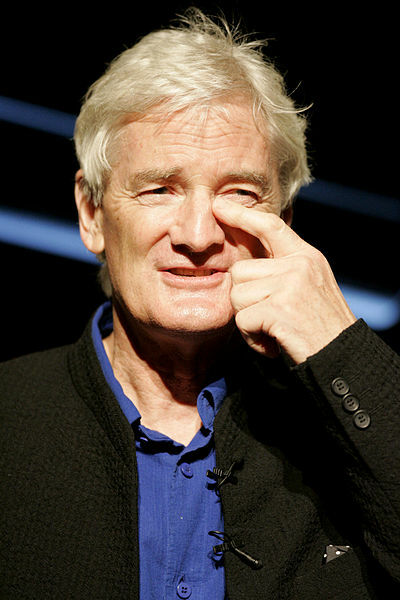 Sir James Dyson: vacuums, hand washers and now robots? Wow! Consider this for a headline: Domestic Robots Are But A Few Months Away from Rescuing Us! We can all speculate about how sci-fi inventions will soon become reality. And robots have long been a favourite in that guessing game. Dyson has put up £5m for a joint robot lab with London’s Imperial College to develop ‘simultaneous localisation and mapping systems’ which will give them the vision technology to solve the difficulties. He is ‘nearly there’ with robotic vacuum cleaners. He reckons that his good navigation, good suction, high power small motors, lighter materials will give them the production edge on rivals, especially from Japan where government subsidies are available for research and development. Taking it one step further, such a household device could patrol grounds, clean windows, monitor food stocks, heating and carry out lifting as well as domestic tasks. The next generation could prepare and serve food, nurse the sick, even do the homework children hope. If the strapline to The Robot Shop is to believed, robotics are already ‘at your service’ with vacuums, floor cleaners, pool cleaners, lawn mowers, grill and window cleaners, sports and companion robots on sale. That’s true enough, but Dyson is talking about a whole new generation of home robotics, which will be part of the Internet of Things, big time. Google are are well on the case already. The race is on, but Dyson looks set to focus on the best robotics technology first rather than building the machines himself, though who knows how the battle will pan out? Let’s hope he’s right. Or at least, right until robots can make robots themselves, bypassing human beings altogether.